Chlorophyll‐based photosynthesis has fuelled the biosphere since at least the early Archean, but it was the ecological takeover of oxygenic cyanobacteria in the early Palaeoproterozoic, and of photosynthetic eukaryotes in the late Neoproterozoic, that gave rise to a recognizably modern ocean–atmosphere system. The fossil record offers a unique view of photosynthesis in deep time, but is deeply compromised by differential preservation and non‐diagnostic morphologies. The pervasively polyphyletic expression of modern cyanobacterial phenotypes means that few Proterozoic fossils are likely to be members of extant clades; rather than billion‐year stasis, their similarity to modern counterparts is better interpreted as a combination of serial convergence and extinction, facilitated by high levels of horizontal gene transfer. There are few grounds for identifying cyanobacterial akinetes or crown‐group Nostocales in the Proterozoic record. Such recognition undermines the results of various ancestral state reconstruction analyses, as well as molecular clock estimates calibrated against demonstrably problematic Proterozoic fossils. 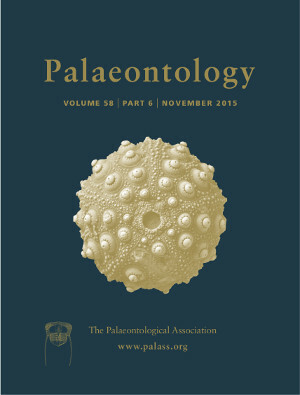 Eukaryotic organisms are likely to have acquired their (stem‐group nostocalean) photoendosymbionts/plastids by at least the Palaeoproterozoic, but remained ecologically marginalized by incumbent cyanobacteria until the late Neoproterozoic appearance of suspension‐feeding animals.